Great Britain has a rich hockey history that’s relatively unknown in North America. At least one historian says the game was actually born there, specifically in Scotland, though most Canadians would quickly dispute that claim. 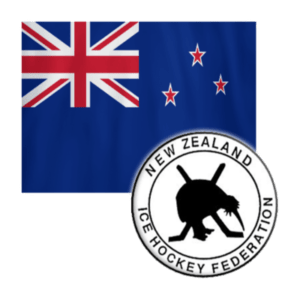 Nevertheless, Great Britain, a founding member of the International Ice Hockey Federation in 1908, produces quality players even though there are only 68 indoor rinks in England, Scotland, and Wales combined. Any discussion of junior hockey in Britain starts with Liam Kirk, first British-born and British-developed player to be drafted in the NHL. He was chosen in June by the Arizona Coyotes in the seventh round. The 2000 forward is playing this year for the Peterborough Petes of the Ontario Hockey League, where he has a pair of goals and a pair of assists in 16 games. In the 2018 U20 IIHF World Junior Championship, Kirk was Great Britain’s scoring leader in Division IIA. He finished with seven goals and seven assists in five games. Second in scoring was forward Samuel Duggan. The 1998 forward found the back of the net four times and assisted on five goals in five games. He has played five games this season with the Jamestown Rebels of the North American Hockey League. When Duggan was in the U.S. earlier in 2018 to skate with the Lincoln Stars of the United States Hockey League, he described for the Lincoln (Neb.) Journal Star “the main difference” between developing in Great Britain and the U.S. Matching Duggan in points was Cole Shudra, who also had four goals and five assists but racked up 22 penalty minutes, as well. The 1998 forward has not played in North America. The other 2000-born player on this veteran-laden team is forward Jordan Buesa. In the 2018 U20 WJC, he had two goals and four assists. He also played in the U18 tournament, where he scored three times and assisted one assist. 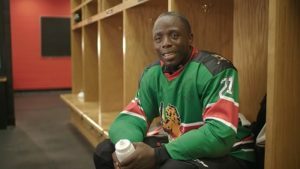 Buesa has played one season in North America. That was in 2015-16, when he skated in the Greater Toronto Minor Midget Hockey League and had four goals and six assists for the Toronto Titans AAA club. Great Britain’s top scoring defensemen — Edward Knaggs, Thomas Stubley, Stuart Kerry — are all 1998s and will be making their last appearance in the IIHF WJC if they are on the 2019 squad. Britain’s goalie situation is rather interesting. Both netminders had respectable goals-against averages but rather low save percentages in the 2018 WJC. Jordan Lawday, a 1998 with has some North American experience, recorded a 2.99 GAA but an .899 save percentage in four games. In two games, 1999-born Ethan James had a 2.55 GAA with an .889 save percentage. In 10 games with the Essa Stallions in the Canadian Premier Hockey League, James is posting a 2.82 GAA and an .898 save percentage. James is only 5’6”, below average in height for today’s goaltenders, but Stallions head coach Sylvain Cloutier says he has terrific reflexes, and is quick. James himself believes size shouldn’t matter. “If the goalie that is 5-foot-7 can stop the puck just as well as a 6-foot-plus goalie, why shouldn’t they get the chance of going professional?” he told The Color of Hockey earlier this year. In the two previous season, James has recorded a 2.50 GAA and .933 save percentage, and a 1.37 GAA and .949 save percentage. The latter were the best numbers in the CPJHL in 2017-18, the same year he was a first-team all-star and led his team to the league title with a 2.16 GAA and 6-1 record in the playoffs. 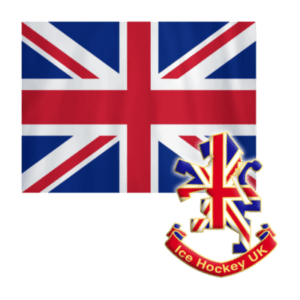 In the 2019 IIHF WJC, Great Britain will play for the second straight year in Division IIA after being relegated from Division IB due to its performance in the 2017 tournament. Great Britain was the home team for the 2018 WJC, which was played in Dumfries, Scotland, finishing in a tie for second with South Korea. The 2019 tournament will be played in January in Estonia, and Britain probably has an eye on winning the gold and being promoted back to Division IB. Former NHL player and assistant coach Bob Corkum has been named head coach of the U.S. women’s national team for the 2018/2019 season. He will be assisted by Joel Johnson, the associate head coach of the University of Minnesota women’s ice hockey team, and former NHL defenceman Brian Pothier. Corkum succeeds another former NHL player who turned to coaching. During the past two seasons Robb Stauber led the U.S. to Olympic gold in 2018 and Women’s World Championship gold in 2017. Corkum once played at the 1987 IIHF World Junior Championship that was followed by a 13-season NHL career. He was also involved with USA Hockey when the U18 team won silver at the 2013 Ivan Hlinka Memorial Tournament. He already got a first glimpse of women’s hockey when he worked as an assistant coach in an U22 series between the U.S. and Canada in August that the American won with a three-game sweep. There Johnson worked as head coach while at the senior women’s team the roles will be switched. Most recently the 50-year-old was working as an assistant coach for the New York Islanders between 2013 and 2017. He had joined the Islanders after spending five seasons as an associate coach of the men’s ice hockey team at his alma mater, the University of Maine. 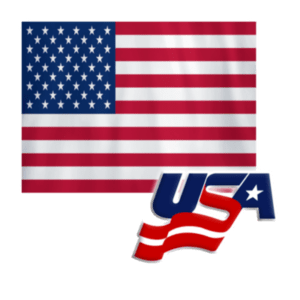 The U.S. will soon play at the 2018 Four Nations Cup that will take place in Saskatoon, Canada, 6-10 November 2018. Corkum’s first season will end with the 2019 IIHF Ice Hockey Women’s World Championship in Espoo, Finland, where Team USA will play in the “upper” Group A with Canada, Finland, Russia and Switzerland. 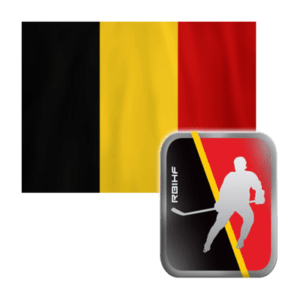 Belgium last won an International Ice Hockey Federation U20 World Junior Championship in 2014, when it took Gold in Division III and was rewarded with a promotion to Division IIB. Since then, there have been four straight fourth-place finishes. If Belgium is to medal in the 2019 WJC, the team will have to improve its defense while playing up to the high-octane standard it set in 2018 on offense. Scoring in the 2018 WJC was relatively well spread out for the Belgians. Eight players recorded four or more points in five games, while three players had three or more goals, and three had two goals each. But the team was a -6 for the tournament, allowing 28 goals to the 22 goals it scored. No one can blame Rino Dhondt, though. The 1998 forward was not only the team’s leading scorer with four goals and four assists, he also led the team with a +7. He was tied for fourth in overall tournament scoring and his plus-minus was the second best among the top-10 scorers. Belgian-born Métis Roelens, who has not skated for the national team, could be the difference-maker if he plays, as some are expecting, for his country in the 2019 WJC. 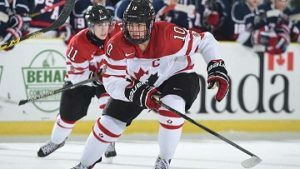 The 2000 center, who stands 6’4″ and weighs more than 200 pounds, and moved to North America with his family in 2012, is in his second year of elite junior hockey in Canada, skating for the Gatineau Olympiques of the Quebec Major Junior Hockey League. In 13 games this season, he’s scored two goals and set up five, and is nearly halfway to his total point production of last year of 15. Forward Oliver De Croock had a strong 2018 tournament offensively, with three goals and four assists for seven points, second best on the team and good for a tie for sixth overall. But he finished with a -3. De Croock is playing in North America for the first time this season, skating with the Minnesota Blue Ox in the Premier Division of the United States Premier Hockey League. The 1999 forward has put up strong numbers so far, scoring three goals and assisting on five in 10 games. De Croock has also created a web store, hockeyloverstore.com, in which he says he offers “good quality products with good prices.” He wants everyone to have “the chance to really find a good store” for buying hockey gear, an opportunity he didn’t have when he was younger. Defenseman Lowie Cuylaerts, a 2000 who had five assists but no goals, and was a -1 (but a +10 in the U18 WJC), led Belgian blueliners in offense. Ben Coolen, a 2000 who plays both forward and defense, had three goals and three assists (and 24 penalty minutes), and finished even for the tournament. In the U18 tournament, Coolen had five goals and five assists, and was a +8 in five games with 16 penalty minutes. Neither Cuylaerts nor Coolen has played in North America. The Belgians might want to rely more in the 2019 WJC on 1999 goalie Morgan Schaller. He appeared in only one game in the 2018 tournament and recorded a stellar 1.67 goals-against average and .929 save percentage for a team that gave up nearly six goals a game. Belgium will open the 2019 WJC against Israel on Jan. 15 in Zagreb, Croatia. No doubt the U20 national team would like to make history again in 2019. Head coach Derek Eisler will surely rely heavily on the core of his 2018 squad, which was anchored by top scorer, captain Mark Revniaga, a 1998 who’s eligible for the upcoming tournament. In the 2018 WJC played in Bulgaria, he scored 11 goals — nearly half of the team’s entire 25-goal output — and assisted on four in five games. His 15 points led all WJC scorers, so it was no surprise the center/right wing was selected as the top forward in the tournament. Revniaga is now in his third season playing in North America. He is currently with the Northern Colorado Eagles of the Western States Hockey League, where he has three goals and a pair of assists in five games. He’s also played with the Point Mallard Ducks of the North American 3 Hockey League, and the New York Apple Core of the Eastern Hockey League. Finishing eighth in scoring, and second on his team, at the 2018 WJC was Israeli defenseman Tomer Aharonovich, a 1999 with two years of U20 eligibility remaining. He recorded three goals and seven assists, and was named the tournament’s top defenseman. Aharonovich played 36 games in the EHL last year with the Philadelphia Revolution and tallied five goals and 17 assists. The next three most prolific scorers were either full-time or part-time defenseman. Itay Mostovoy, a full-time blueliner, had two goals and five assists; 1999 winger-defenseman Marom Avraham, recorded a pair of goals and four assists; and Dan Hoffman, a defenseman-left winger born in 1999, had for assists in the tournament. Mostovoy, it should be noted, is only a 2001 who will continue to develop. Center Tom Ignatovich, who finished sixth on the team with two goals and an assist, plays a tough game. He racked up 31 penalty minutes in five games in the 2018 WJC. This year he’s playing with Revniaga in Northern Colorado and is hoping to find a NCAA team after wrapping up his junior eligibility at the end of this season. It’s no surprise that Israel was solid in goal at the 2018 WJC. Both netminders were in the top three in save percentage and both had outstanding goals-against averages. “Our two goalies were really, really good. Without those two guys we wouldn’t be here,” Eisler told Tchechankov after Israel had wrapped up the 2018 title. Raz Werner, a 1999, played in three games and put up a 2.00 GAA, a .934 save percentage, and one shutout. Yonatan Reisinger, played in two games, allowing only five goals for a 2.50 GAA. The 2000-born goalie, who is in the net this year for the Hartford Jr. Wolfpack in the United States Premier Hockey League’s Premier Division, recorded a .904 save percentage. Werner is playing his junior hockey this season in Sweden in the J20 Elit division. 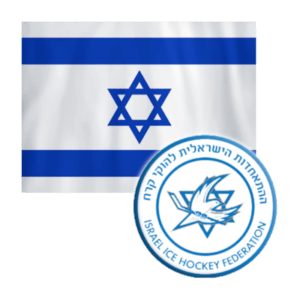 The 2018 gold these players helped win might be the spark Israel hockey needed to move the sport to the next level. The 2019 Division III WJC will be played in Croatia in January. Israel will be in a field of six that includes Mexico, the Netherlands, Croatia, Belgium, and Serbia. Zachary Yuen did not get to choose his heritage, but as one of ice hockey’s budding Chinese prospects the National Hockey League (NHL) is hoping will help grow the game in the Far East, he has embraced the added attention and duty to the motherland. 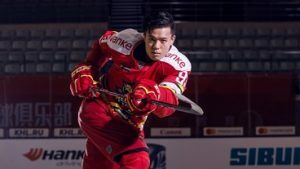 Yuen, 25, whose father is from Hong Kong and mother is from the Guangdong Province, was born in Vancouver (which is 43 per cent ethnically Chinese) and now plays for the Beijing-based Kunlun Red Stars, the only Chinese team in Russia’s Kontinental Hockey League. Yuen, who was drafted by the Winnipeg Jets in 2011, chose the KHL over the typical American Hockey League route (which houses the NHL’s feeder teams) to help grow the game in China. This, of course, has placed a particularly bright spot on Yuen as the NHL tries desperately to bring forth a Chinese superstar to reach a new audience overseas. Yuen has featured in multiple media outlets since heading overseas including GQ China twice, the Financial Times and recently walked the catwalk at a fashion show in Shenzhen. “I definitely feel like there is a lot more responsibility and pressure being a Chinese player because I feel I have a responsibility to be a good role model for all the kids in China who have interest in hockey,” he said. The NHL is hoping all the games it has hosted in China and the cash it spent flying in marquee draws like Wayne Gretzky and Phil Esposito will be able to piggyback off the country’s commitment to winter sports ahead of the 2022 Beijing Winter Olympics. State broadcaster CCTV has also televised a number of NHL regular season games and the play-offs hoping to entice more Chinese people to either play or take interest in the game. China has literally built hundreds of ice rinks across the country and the International Ice Hockey Federation reports the game has grown from about 1,000 local players in 2017 to 12,000 today. Yuen, who is in his third year in the KHL and is a much-coveted left-handed defenceman, is a pitch-perfect spokesperson given he is trilingual. He said even though he was born and raised in Vancouver, he was raised in a fairly traditional Chinese family. Yuen added his first season (2016-17) in the KHL was tough, noting it was like having “continuous jetlag”, but now he feels much more at home and knows all the Russian cities. Right now the Red Stars have five Canada-born players and eight China-born players on their roster. The team is currently 10th in the East Division of the KHL with five wins and nine losses in 14 games. Yuen has only played six games this season due to injury. One of the points of upcoming contention between the NHL and China ahead of 2022 will be whether the league sends its players. The NHL bucked the trend in 2018 by announcing its players would stay put which boiled down to a money issue with the International Olympic Committee. Yuen said it is “still too early to say” whether the NHL will allow its players to go to Beijing in 2022. If Yuen is still playing in the KHL it will be a no-brainer as he will definitely suit up, but if he is playing for an NHL team, the decision will be out of his hands.